The Nursery Teacher is Mrs. J. Welsh. The Teaching Assistants are Mrs. Z. Treweek and Mrs. P. Fawcett. We admit children in the term following their 3rd birthday in January and April. The session times are 12.30 - 3.30pm. 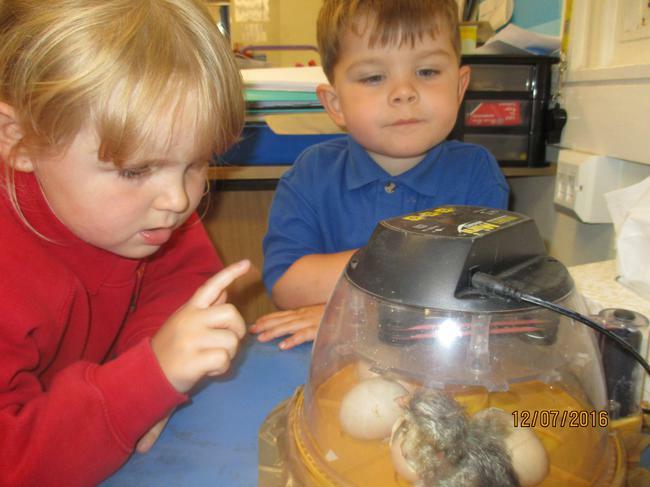 In the Nursery we follow the government's Early Years Foundation Stage Curriculum. This offers lots of opportunities to learn through play. 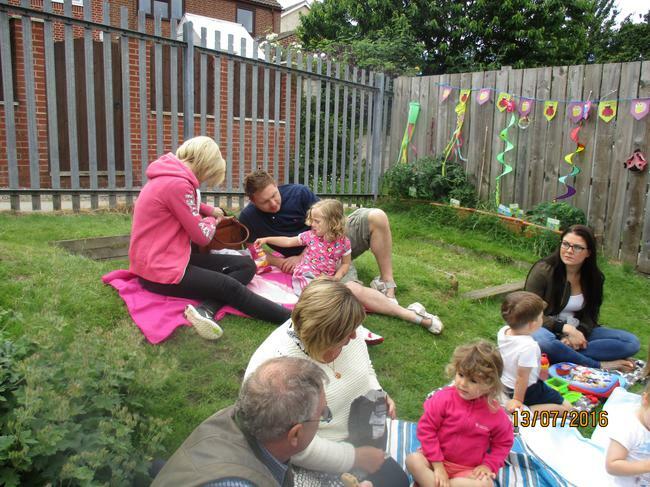 These include creative activities, small world, messy play, games, construction, music, maths and literacy activities. We place a strong emphasis on outside play, both for its learning opportunities and physical well-being. We value the importance of healthy living with a healthy daily snack. 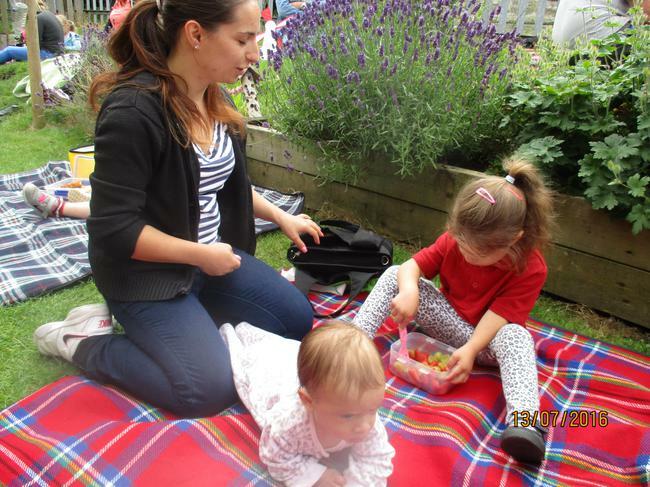 In Nursery we provide a stimulating, nurturing environment which encourages the children to learn valuable social skills such as sharing, co-operation, and independence. We plan our activities on a half-termly basis. Copies are on display on the Parents' noticeboard. We have an achievement display titled "Look what the afternoon children can do!" This celebrates any achievement at home. It can be anything, big or small, from learning a new skill to good behaviour. Please complete a leaf and we will display it on your child's flower. We have children's and parents' library boxes. The children's box is full of favourite books. The parents' box has lots of ideas to help your child's learning at home. These are 'serve yourself'. Please write your details in the books when you borrow and return items. 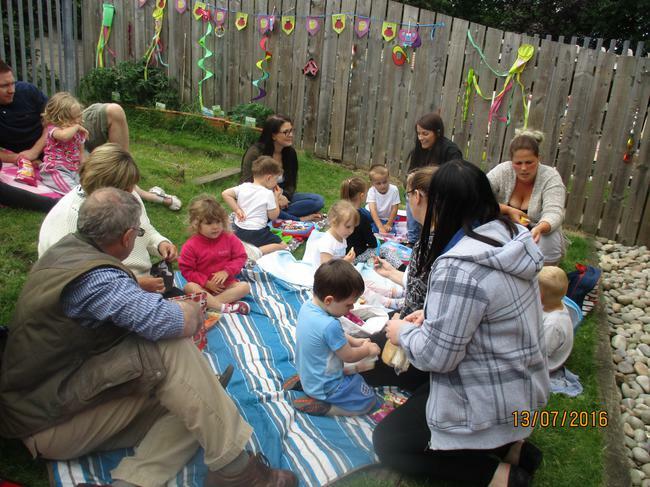 A big Thank You to all those who contributed The Big Toddle for Barnado's. Combined with the Morning Nursery children we raised £312! Ethan enjoyed picking and eating our very own strawberries! We dug up our potatoes! The children did really well with their races! 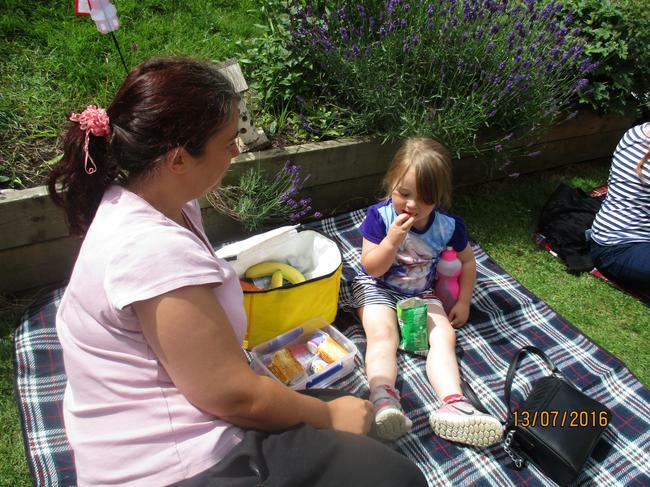 Then we had a lovely picnic in the garden! 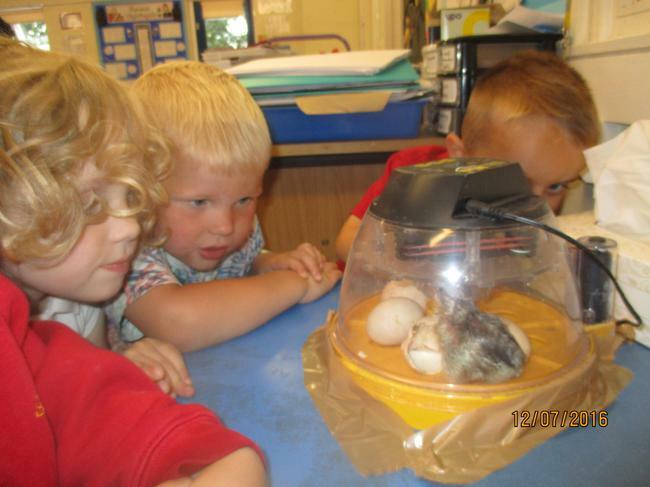 We went to look at the chicks hatching out of incubating eggs in Mr. Blake's room! 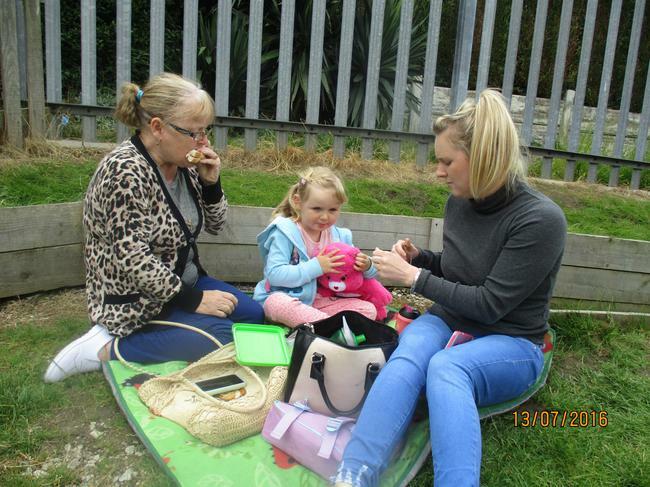 We borrowed a goldfish to have in Nursery while we're doing our Seaside topic! We've been learning all about the seaside. We did some beautiful pictures! Our next topic is The Seaside! Our Space role-play area is lots of fun! We're off into Space in our rockets! Having fun making our rockets and rocket pictures. We did lots of lovely flowers for our Summer Time display. 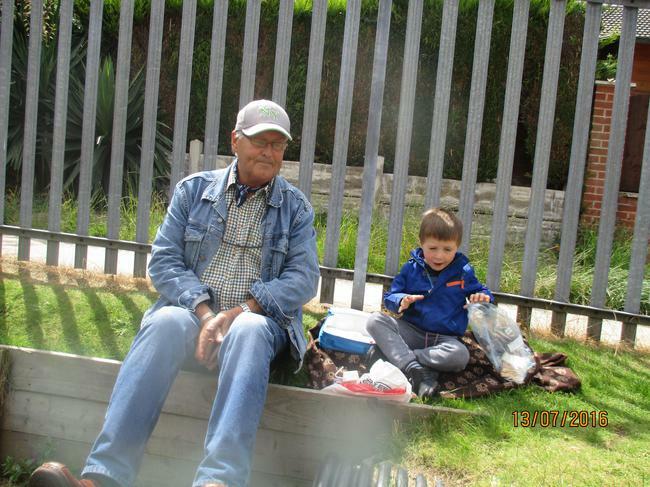 Here we are having fun in our garden. Jacob's fascinated by the bees on the geraniums. We've planted potatoes, tomatoes, onions, beans, sunflowers and strawberries in our tubs. We really enjoyed our Big Toddle sponsored walk for Barnado's. Here we are on the Juniors' Playground and then going through the willow arch! Many thanks to Arla's Mummy and Daddy for bringing their puppies to show us! After the holiday our first topic is Space. If you have any resources we could borrow, we would much appreciate them. We are also collecting kitchen roll tubes to make rockets, and silver foil containers for our space scene! We'll also be practicing hard for Sports' Day on the 15th June! Our butterflies hatched successfully. Here's Jacob looking surprised! Here we are being butterflies! Thank you very much to Arla's Daddy for bringing a baby frog from their garden to show us. Just after this photo was taken the frog jumped out of the box! Luckily we managed to catch it. At least the children saw for real how good frogs are at jumping! Our new topic is animals. For the next 2 weeks we will be talking about wild animals. If you have any resources at home which we could look at we would be very grateful. Having fun with the dinosaurs! Thank you Ethan and family for bringing lots of dinosaur resources for us to share! We looked very carefully at the bluebells and did some beautiful paintings! We grew cress seeds and had cress sandwiches for snack! We also did super paintings of our sunflower plants! On very rainy days if we can't go outdoors we sometimes play games. Our favourites are 'Scaredy Cat' and 'Ladybirds'. Both of these involve lots of skills such as turn-taking, sharing, concentrating, listening, counting, recognising colours and numbers. And lots of fun! This week we have been welcoming our 8 new children. The older group have done a good job of helping to look after them! Our next topic is dinosaurs. If you have any resources at home which we could borrow, we would love to see them. Thank you! We enjoyed doing the frogspawn! We drew tadpoles wriggling in the weed! We're very proud of our display! We're talking about what the compost feels like before planting our sunflowers, cress and grass seeds. As we planted we looked at all the different seeds. We talked about their size, shape and colour. We talked about what they needed to grow. Happy Easter! We return on Monday 11th April. Our new children will be joining us the week beginning 18th April. Making Easter baskets for our chocolate nests! Kaden's looking at the Easter display. We also enjoyed an Easter Egg Hunt round Nursery! We really loved our Easter activities! The children were fascinated by our frogspawn. We now have some tadpoles! Here we all are in our sports clothes. Thank you for your donations! We loved getting dressed up in our favourite outfits for World Book Day! 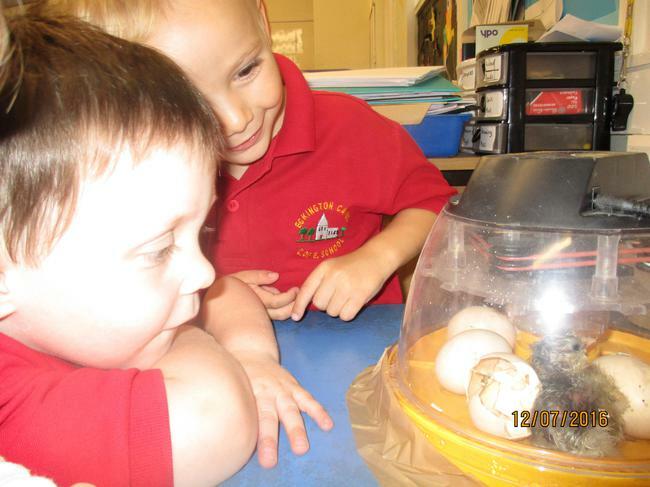 This term we are learning about Spring, life-cycles and Easter. We have looked carefully at Spring flowers and done beautiful pictures of snowdrops and daffodils. We are the proud and excited owners of 5 live caterpillars! 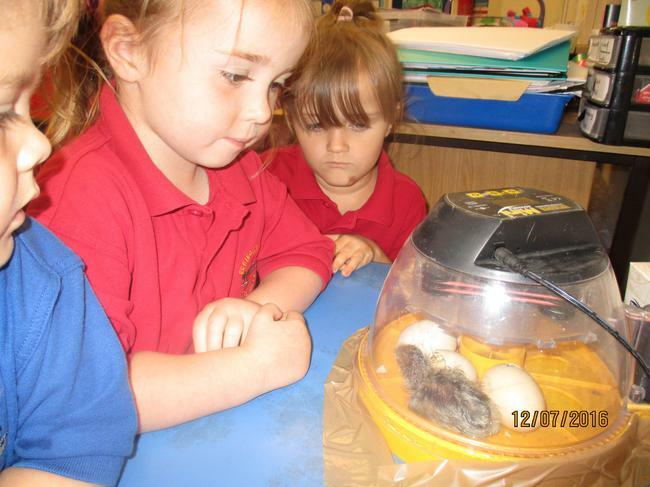 We are watching their rapid growth and hoping that they will hatch successfully by Easter! Our January starters are all now happily settled. It's lovely to see them coming through the door with smiling faces, eager to play! We've been learning about colours. This has been linked to Elmer the elephant, which the children love. They're very proud of their Elmer pictures on display. Don't forget to look! Here are some photos of us all busy playing, indoors and out. The children love snack time. They help to set the table and put the name cards and milk out. They are learning to recognise each other's names by doing this! After washing their hands they collect their name card and milk carton.They drink their milk, eat lots of different fruit, and enjoy a cracker or toast etc. They say please and thank you and tidy up after themselves. We also enjoy chatting about all kinds of things whilst we're at the table! At the moment our topic is "All About Me". We are focusing on what's important, such as our families, our favourite things, and number 3! We're also looking at our names, especially the capital letter at the beginning. As it's Chinese New Year we're also finding out a little about China. We're looking at where China is, the food, writing etc. We finish for half-term on Friday 12th Feb.
We return on Tues. 23rd Feb. (We are closed on Mon. 22nd Feb for Inset Day). Tuesday 23rd Feb. is Parents' Evening 4 -6pm.This is an opportunity to chat about your child in Nursery. Please sign on the sheet in Nursery against your preferred time.